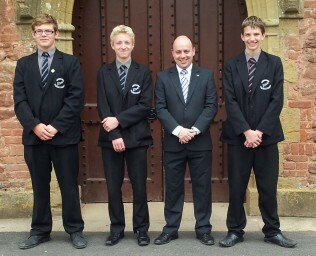 A new Head Boy and his Deputies has been chosen for Brymore. Oliver Herrington went through a rigorous selection process which included a presentation to the whole school and a nerve-wracking interview with the Headteacher, Deputy Head and outgoing Head Boy. Oliver, along with all of the contenders, displayed courage and dignity throughout the process which was designed to challenge all the boys at the highest level. Mark Thomas, Head of Brymore School, spoke highly of Oliver ‘As a Head Boy, I have no doubt that Oliver will display the leadership skills necessary and take on the responsibility like a man.’ As outgoing Head Boy, Russell Windows stated ‘it’s time to work as a team’. Oliver has two Deputy Head Boys to help him with his duties, which start officially in September 2012 on their return to school.